Okay, this is just a quickie. When I cook for Thrifty Baby, I sometimes make him chicken marinated in buttermilk, a little honey and a dash of soy sauce. 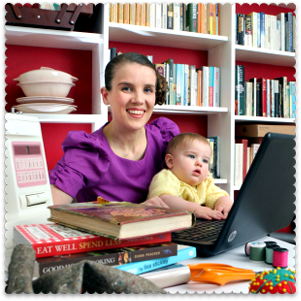 It’s a Nigella recipe from How To Eat – only the best for Thrifty Baby, darling! But it’s a lovely, simple recipe: you cut up the chicken, leave it to soften in the marinade for a couple of hours, then fry it with a little olive oil. He can’t get it down him fast enough. The only sticking point is the buttermilk. I don’t buy buttermilk from the supermarket: in the UK, it’s 50 pence per pot, which seems like a lot for what it is (buttermilk is the liquid left over from the butter-making process). And I don’t use it in any recipes other than this one, so much of it would go to waste anyway. We don’t use it that much over here, do we? The odd cake or scone recipe, but that’s about it. So I’ve picked up a trick from cooks on the other side of the pond, where lashings of buttermilk go into cakes, pancakes and waffles. It’s so easy to make your own buttermilk – and so quick! All you need is full-fat milk, plus a lemon. If you don’t have a fresh lemon, lemon juice or vinegar are fine. 1. Squeeze a tablespoon of lemon juice into a cup of milk. Seriously, that’s all there is to it. After you add the lemon juice, stir the milk and leave to one side. It doesn’t curdle. Instead, after a few minutes, the mixture will have thickened and will be ready to use. This tip has already saved me pounds. Why buy buttermilk, when you can make a homemade version for pennies? Just in the past few weeks my wife stumbled across a pancake recipe that calls for using vinegar, and it works great, and they’re better than pancakes that you can get at a restaurant. You’re right, making buttermilk is quite simple! Amazing! A lot of the Hummingbird Bakery recipes call for buttermilk and it isn’t an easy find. 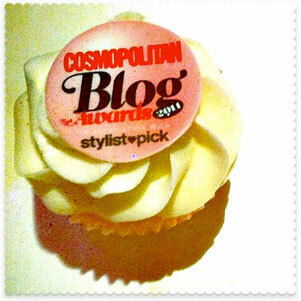 I will definitely try this next time I bake! This probably seems silly, but if you are using say 3 cups of milk, is it a tablespoon of lemon juice per cup? or less than that? Hi Mary – yep, that’s right, 1 tbsp per cup. can i use semi-skimmed milk? I have used semi-skimmed to make this and it was fine. Actually, ‘real’ buttermilk is cultured and not milk curdled with an acid or whey as a by-product of making butter. It’s really simple to culture, and once you have paid for the initial lay-out of £0.50p for shop-bought buttermilk, you can keep it going for quite a long time by just using half and topping up with skimmed milk. Leave it out on the worktop for 12-24 hours et voilà, lovely fresh buttermilk! Sorry…but your wrong there! Real Buttermilk is a by product of making butter from cream. After a lot of mixing, the butter fats in the cream clump together forming butter and the buttermilk liquid separates from them. The ”cultured” stuff sold in pots in supermarkets is just a poor substitute for it. Hi does anyone know how much milk to use in grams? A US cup is 240ml but a UK one is 250ml, though I’ve found that most cup measures aren’t ‘true to size’ and actually measure less than what they should.. also how much buttermilk would this recipe make in fl oz? Got a recipe that needs 10fl oz.. Sorry I meant how much milk do I use in ml? Sorry, Pete, but you’re wrong too! Yes, buttermilk is the liquid left over from butter-churning BUT it is always left at least overnight to ferment before use. It’s the fermenting that turns the milk sugars to lactic acid which gives buttermilk its tang and which makes it so good for baking. Hence buttermilk as used is always ‘that cultured stuff’. 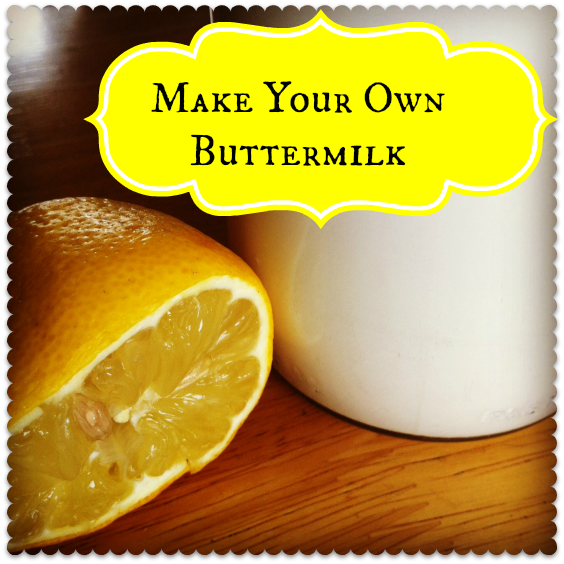 About making your own cultured buttermilk by adding shop-made buttermilk to your milk…. You MUST sterilise the milk you add to the culture by boiling it (and letting it cool) first. I had a friend that made homemade yogurt, got bored with the boiling stage, and went straight the adding-the-culture-to-milk stage. The culture grew alright, but so did other bacteria that was in the unsterilised milk, and she got horribly ill. Don’t let this put you off. Homemade yogurt (and cultured buttermilk) are great, economical, and perfectly safe, as long as you sterilise. I just looked at the price on my 1 litre bottle of ‘Milko’ Natural Kefir cultured buttermilk, and it was 79 pence, which I think is less than I pay for a litre of organic milk. This is from a Polish supermarket (with a big strawberry logo) in London. So no need for economy versions at all! Probably a silly question, but does this work with goat’s milk? I would imagine it does, will give it a go anyway!